The market for subcompact hatchbacks is really burgeoning among American consumers, and with that surge in popularity has come an influx of competing models. With so many choices, narrowing the field to find the best subcompact hatchback can be challenging. Keep reading as we examine how these vehicles compare in various key areas. As you’re about to see, one model in particular rises to the top as the cream of the crop among its competitors. Consumers consider many factors when deciding on a vehicle purchase. Here, we examine a few of the most important ones and how these subcompact hatchbacks measure up. 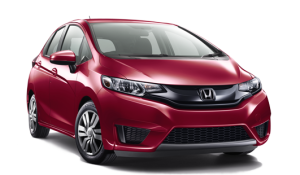 As you can see, one vehicle stands out above the crowd in key areas that matter most to consumers, and that vehicle is the 2017 Honda Fit. If you’re ready to explore the features of the Honda Fit in person and try out this impressive subcompact hatchback for yourself, the team members at Central Illinois Honda Dealers are here to help you! Stop by any of our affiliated dealerships or contact us today to take the Fit for an unforgettable test drive! *Based on 2017 EPA mileage ratings. Use for comparison purposes only. Your mileage will vary depending on how you drive and maintain your vehicle, driving conditions, and other factors.